Are you ready to welcome back one of the biggest and best rock duos of recent history?? The Frank Erwin Center is proud to present the Black Keys on their Lets Rock! tour! Featuring support from Modest Mouse and Shannon and the Clams, they’re hitting the Frank Erwin Center on Wednesday 13th November 2019 – be there! Tickets are on sale now and likely to disappear fast – get ‘em while they last!! It’s been a long wait since their last studio album – the critically acclaimed “Turn Blue,” was released in 2014. Singer/guitarist Dan Auerbachand and drummer Patrick Carney have been busy for the last few years with various exciting side projects and big collaborations with other massive names in music – namely Dan Auerbachand’s new band the Arcs, and Patrick Carney’s work on “Hopeless Romantic” by his collaborator and partner Michelle Branch. But now, the band are back with the incredible single “Lo/Hi,” bringing fans the sound to expect from the new album – and what a sound it is!! The single has already been received enthusiastically by fans, with the music critics dealing out the praise too. Get ready to celebrate their return in person – have you got those tickets yet?? 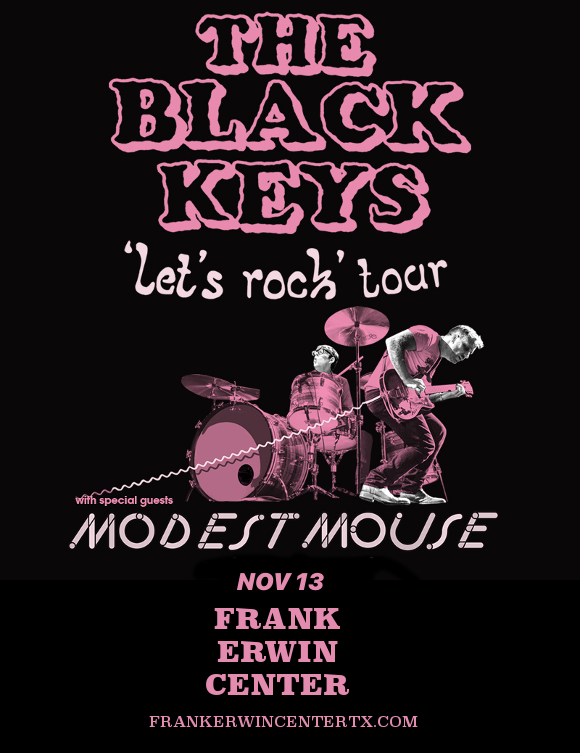 If not then hurry – get your tickets for Black Keys, Modest Mouse and Shannon and the Clams NOW while they last! !